Say goodbye to the print edition. 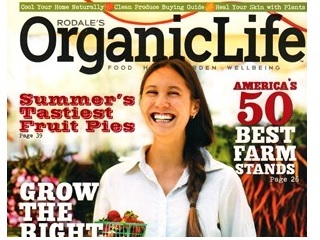 Rodale is shuttering the print edition of Organic Life and shifting the brand to an all-digital publication. Organic Life’s February/March issue will be its last. Organic Life was the result of Rodale rebranding the 70-year-old magazine Organic Gardening. The revamped title only last a little under two years. Melanie Hansche, who was named editor in chief of Organic Life last March, has been appointed editorial director for the now digital only brand.